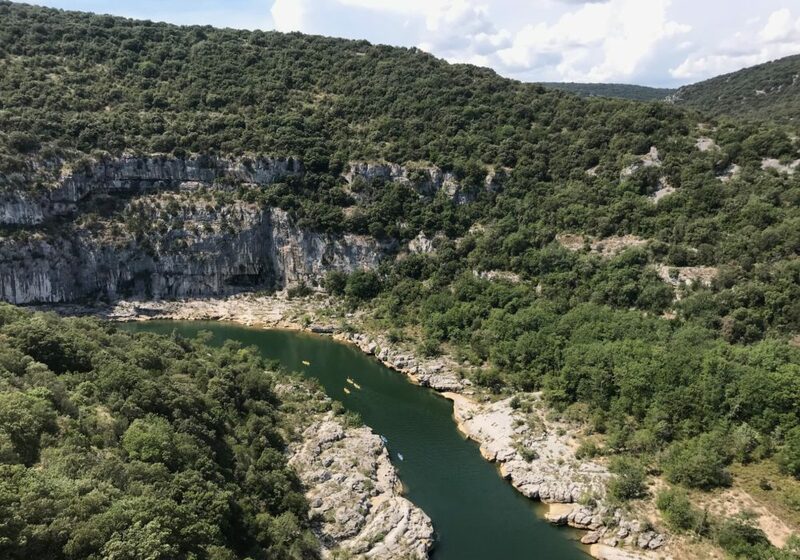 Waving palm trees, white sandy beaches, a bright blue sea, drinking from a coconut with a straw, bounty levels are high, lot’s of sun, a nice warm temperature and only a little time difference with the Netherlands. Sounds ideal right? The Seychelles have this all! 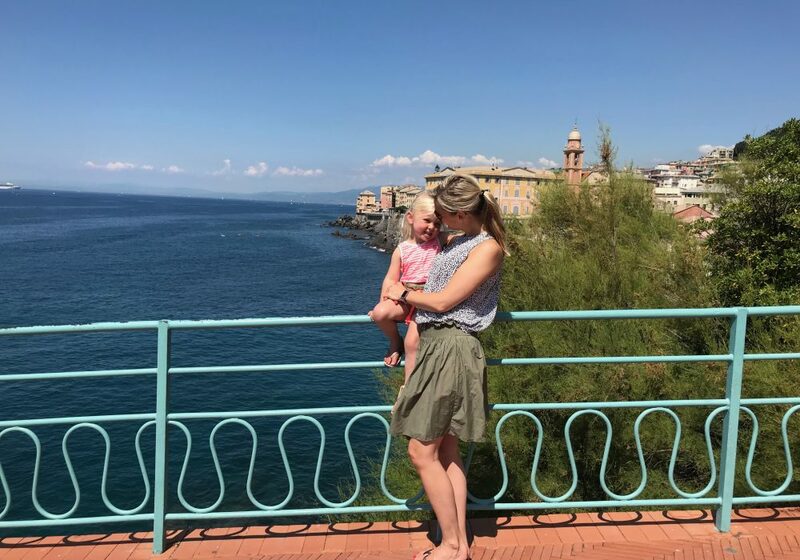 This is also the best location for a honeymoon but we went there with the whole family as this is a wonderful country to visit with kids too! 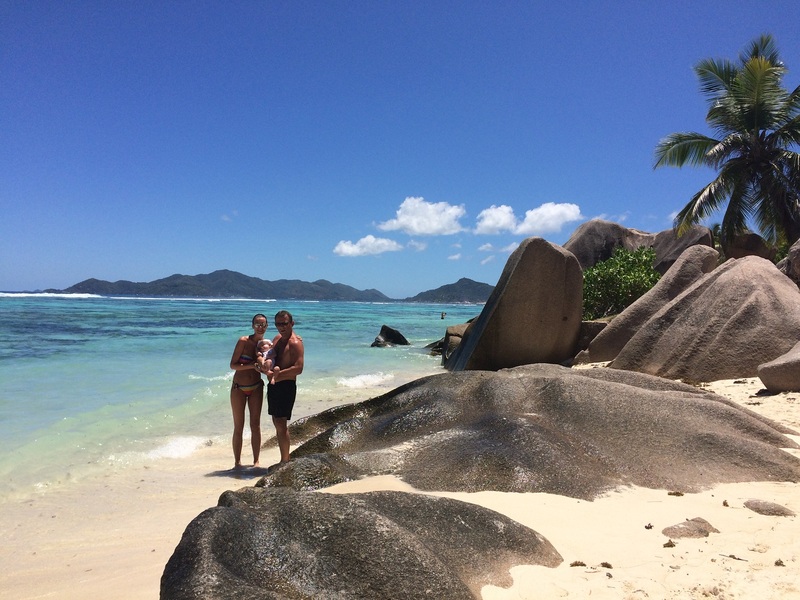 Here we’ve listed 5 reasons why the Seychelles with kids is the BEST idea. If one place is perfect to use a bucket and spade, it most certainly is the Seychelles. And if kids like anything it’s building sand castles on the beaches near the surf. There are miles of sandy beaches. Grand Anse on the isle of Praslin for example, is ideal for a nice beach walk. 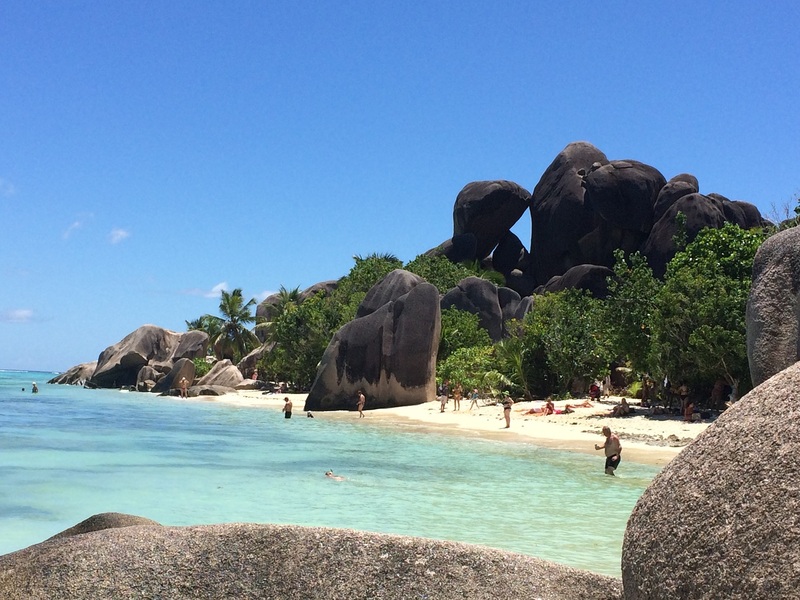 But there are smaller bays too, Anze Lazio on Praslin, a beautiful bay with large rocks of granite in the sea. The beaches on the Seychelles are so diverse, there is something for everyone. They do have one thing in common: the sea runs off smoothly so it’s ideal for kids to paddle in. Actually they do have another thing in common: they are ab-so-lute-ly amazing! We thought La Digue was the most beautiful island of all. You can reach it by boat. It’s a car free island so there are a few alternative ways to get around. You can go by foot of course, or you can get on an Ox cart or take a bike! As soon as you get off the boat the bicycles to rent are everywhere. You can rent childrens’ bikes and child seats too so there is a bike for everyone to enjoy your bike trail. You can easily cycle around the island in one afternoon. You will see all kinds of beautiful beaches to stop and take a dive in on your way. This has to be the main beach of the Seychelles. All commercials about the Seychelles or about bounty beaches in general show Anse source d’argent. 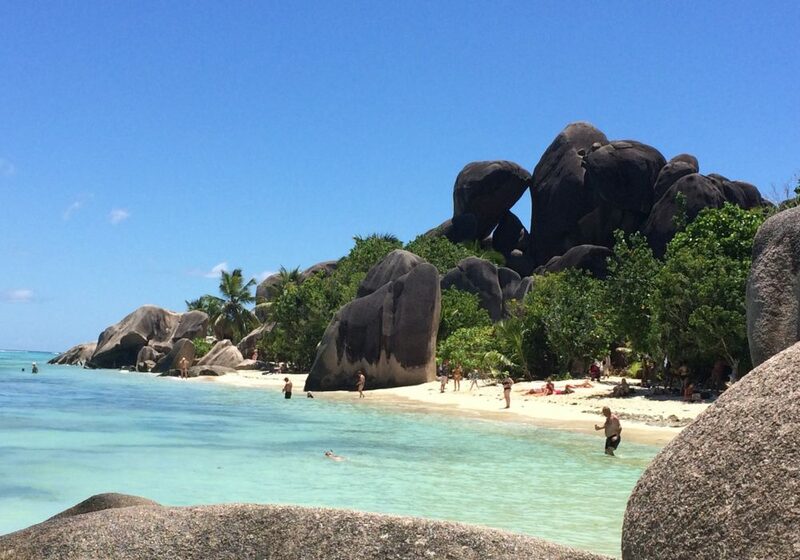 This beach is located on the island La Digue and is absolutely breathtaking. It’s as if you’re in a poster. 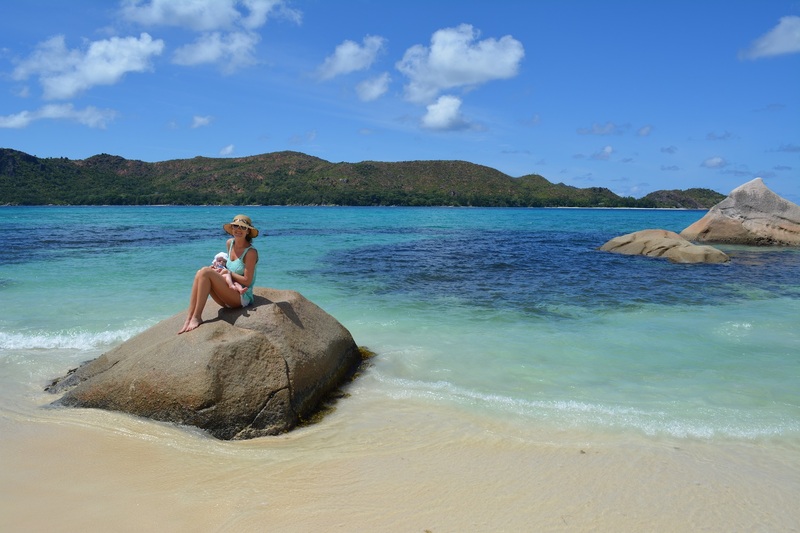 From the pearly beaches gigantic granite rock formations rise up out of the bright blue sea making it a picture perfect spot that give the Seychelles that typical look. A very fun and beautiful place to be with a little restaurant and lots of stalls in the area where you can drink from a coconut with one of those fun beach umbrellas. 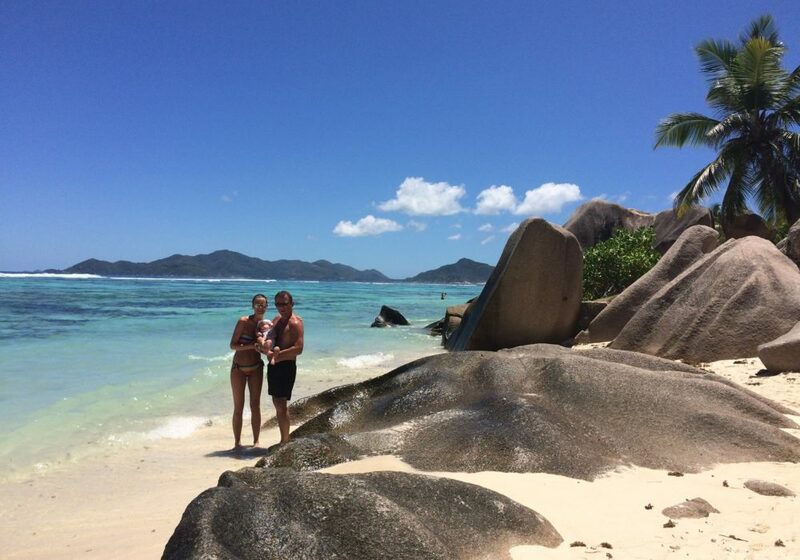 Therefore Anse source d’argent must not be missing from your list when you visit the Seychelles with kids! There is enough to do for the little animal lovers among us too. On La Digue island there is a colony of giant sea turtles that lay relaxing under the waving palm trees. The underwater life is spectacular too! The kids that are a little older can go snorkeling (and mom and dad too of course). Rays as large as half a meter swim through your legs and the most brightly colored fish come really close too. They are clearly not scared of humans so you can get a real good look. 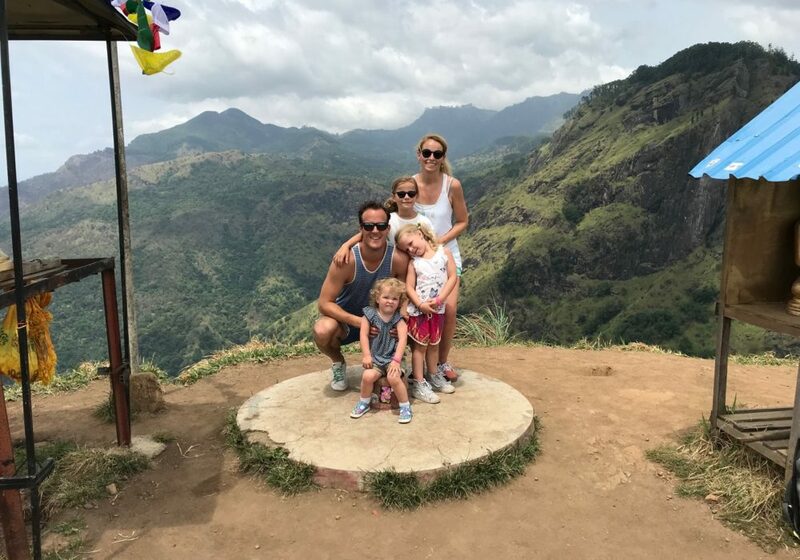 As you can read, a lot of highlights of the Seychelles are beach orientated, but there is a another beautiful piece of nature to be found on the island Praslin. 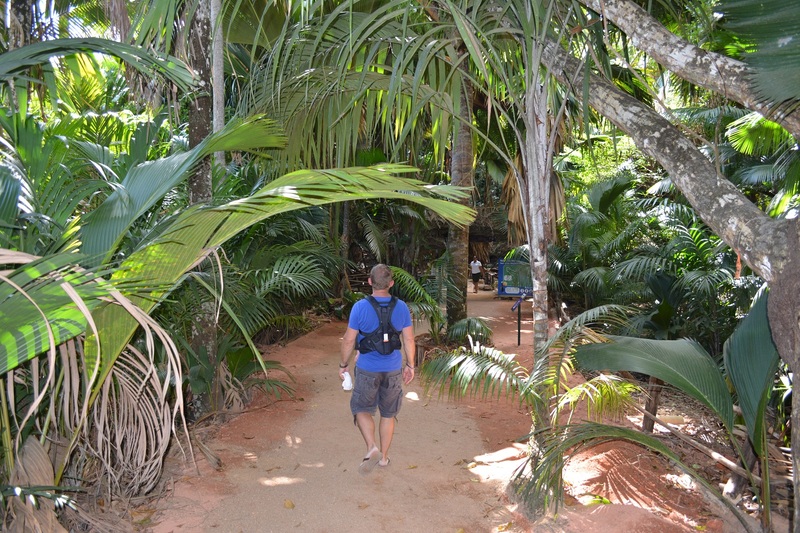 In Vallée de Mai you can make a nice walk of about an hour where you’re really in the jungle. It’s a well laid path with bridges and stairs, fun for the kids to climb but not as fun for a buggy perhaps. Luckily we brought the carrier with us! 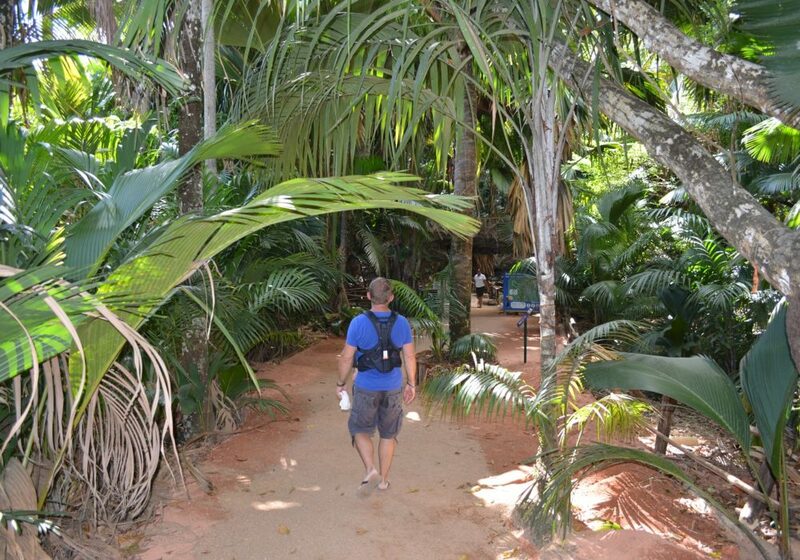 The park is well known for it’s “coco de mer”, a palm tree with a typical kind of coconut. Fun detail; when you enter the country, you get a stamp in your passport from customs shaped like this coconut. There are a lot of geckos, tree frogs and parrots too. A fun afternoon for all ages!